Anne Batcheller and Jillian Sharp were valedictorians of their respective high school graduating classes. Anne graduated from Catholic High School. She spent many hours of her summer hiking the trails of the Great Smoky Mountains. Anne will be attending the Notre Dame University. Jillian graduated from Berean Christian School. 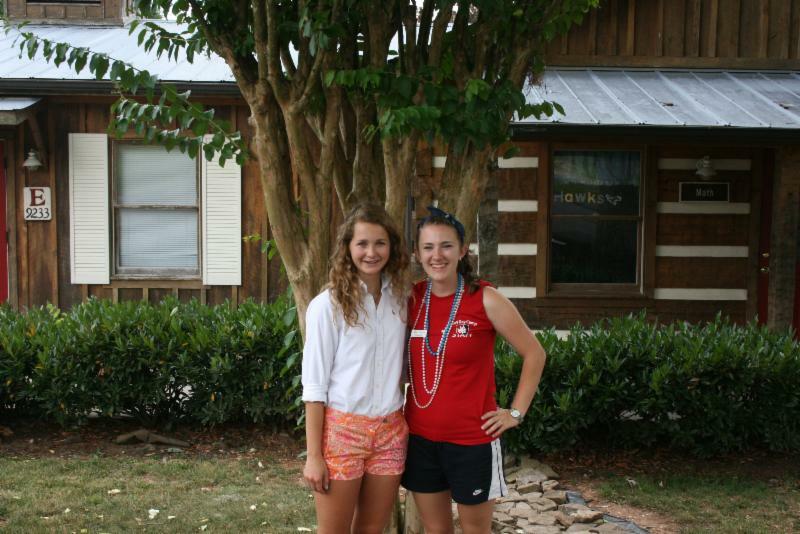 She spent a fun summer as a counselor at Tate's Day Camp. Jillian will be attending Carson Newman College. Congratulations to these young ladies! Tate's is proud of you and we wish you much success in your college careers. Congratulations on your successes. I am very proud of you. I knew that Annie was valedictorian of her class, but didn't know about Jillian. Heartfelt congratulations to you both.